From secluded beach hideaways to spectacular mountain lodges, Central and South America offer honeymooners a diverse choice of incredible places to stay. 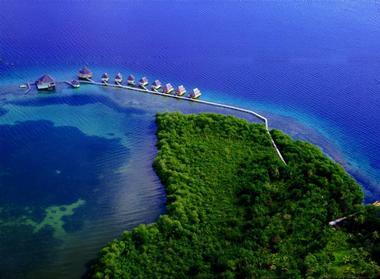 Check into a suite with a view of the water in Belize, sleep in an overwater cabin in Panama, re-connect with nature on a private island in Nicaragua, stay in a historic mansion in Ecuador, relax surrounded by a vineyard in Argentina, check into an eco-lodge in Guatemala, and many more. All the properties that made our list offer attentive service, unique accommodations, easy access to fun activities, delicious cuisine and an ideal location near some of the best beaches in South America. Hotel Punta Islita is a romantic beach hotel in Costa Rica, ideal for travelers looking for a sustainable and elegant place to stay. Standard rooms have private terraces and hammocks with mountain views. Other accommodation options include deluxe rooms, junior suites with a sitting area, private deck, and whirlpool; and junior suite premium rooms (casitas) with private terraces and plunge pools. Couples who wish for more space can stay in one of the two- to four-bedroom villas with full kitchens, private plunge pools, and gorgeous architecture. Attend Tico Cooking Sessions with the Chef, Tropical Cocktail Mixing Lessons, go horseback riding, canopy zip lining, surfing, hiking, bird-watching, on a howler monkey quest, play tennis or golf. In the evening, request a private torch-lit dinner to celebrate your new union. The Casa Spa offers massages and other therapies in a relaxing setting. There are two great restaurants to choose from at the hotel. Rooms start at USD 303 per night. Rancho Santana is a luxury world-class resort on the Pacific coast of Nicaragua, spread across 2,700 acres of rolling hills between the Pacific and vast Lake Nicaragua. It faces 2 miles of dramatic rocky shore that hides five lovely sandy beaches. Surrounded by so much water, the resort enjoys an almost constant breeze, forming probably the world’s most vertical and massive waves and attracting surfers from all over the world. The resort’s rooms are modern and spacious, all featuring wonderful views of the ocean, furnished terraces, and all modern amenities. The luxury bathrooms have beautiful hand-painted tiles. Suites also have living rooms, and the three-bedroom apartments have fully equipped kitchens. The resort has four restaurants, a spa, a kids’ club, two outdoor pools, surfing lessons, horseback riding, and guided hikes. Casa Gangotena is located in a three-story restored historic mansion that overlooks Plaza San Francisco in the center of Quito. The 31 rooms are divided into six different styles, complete with antiques, modern technologies, and fine furnishings. Luxurious accommodations feature tall ceilings, Art Deco style furniture, and en-suite bathrooms. Casa Gangotena has a wood-paneled library, a third-floor terrace with panoramic views, a glassed-in patio where you can enjoy Afternoon Tea, and a beautiful garden. The restaurant is one of the best in the region, featuring award-winning wines and a fabulous tasting menu. Exiting the hotel takes you directly to Plaza San Francisco, where you can visit the Church and Covenant of St. Francis. 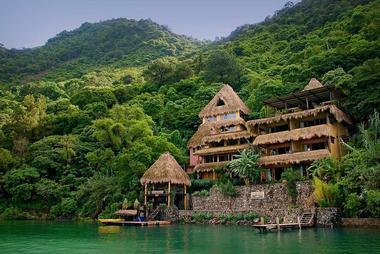 The Laguna Lodge is an eco-friendly resort on the shores of Lake Atitlan, situated within its own private nature reserve. Couples have access to a diverse choice of activities, including a gym, walking trails, swimming, canoeing, kayaking, yoga, pilates, paragliding and scuba diving. The Laguna Lodge reserve covers 100 acres which you can explore at your own pace. The Hummingbird Spa lets you relax with massages, manicures and pedicures. The Jaguar Suite features wooden floors and adobe walls, a four poster king-size bed, fine linens, woven textiles, a lounge chair and antiques. Other lodge suites have similar layouts in varying themes. 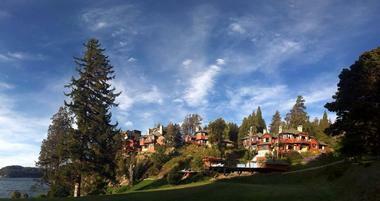 Zotz is the lodge's full-service international restaurant with spectacular views of the lake, serving eco cuisine. Suites start at USD 195 per night. Punta Caracol relies on renewable energy and offers a relaxing escape in the middle of the water with gorgeous views in all directions. The Acqua-Lodge is made up of exclusive cabins with private terraces showing the crystal clear waters and comfortable colonial beds. 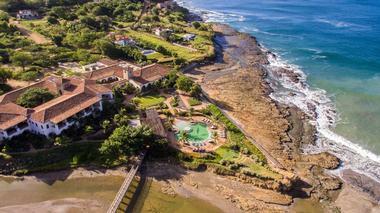 There are five Punta Caracol Suites, three Luna Suites, and one Master Suite, each of which are two stories. Ask for a cabin with a hammock and solarium platform on your honeymoon. The hotel itself is designed for relaxing, but it works with various local tours that let you see nearby towns, go on boat tours and see dolphins, go hiking in the rainforest, or go snorkeling. Within the hotel area itself, you can take a kayak or go snorkeling right off the beach. The on-site restaurant serves breakfast and dinner, which are both included with your stay. Just outside the hotel, you can explore the island on a motorcycle or bicycle or go for a boat tour to a nearby beach. Rooms start at $315. Located in Santa Teresa on the Nicoya Peninsula and the magnificent Costa Rican Pacific coast, Florblanca Resort is surrounded by lush tropical forests and faces a white sandy beach. Many of the Nicoya Peninsula’s other famous beaches are with easy reach, including Cocal Beach, El Carmen Beach, and Santa Teresa beach. 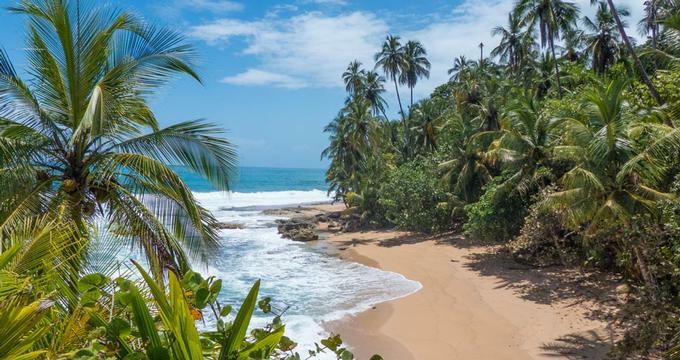 The area is a paradise for surfers and nature lovers, with the surrounding jungle teeming with wildlife and colorful birds. The resort has seven villas, large and chic, furnished with local hand-made furniture, beautifully decorated with local art, and painted in lively tropical colors. 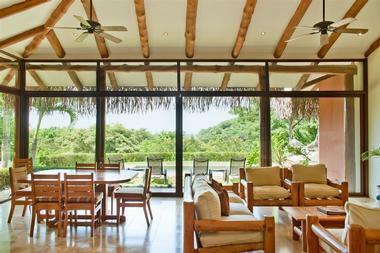 They have large open-air living rooms with big traditional hammocks. The bathrooms are also open air and have free-standing tubs made of local stone. All rooms have modern amenities such as Wi-Fi. 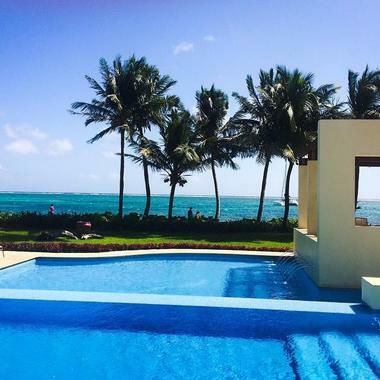 Guests enjoy a beautiful infinity pool, a cozy TV lounge, a spa, and a yoga studio. 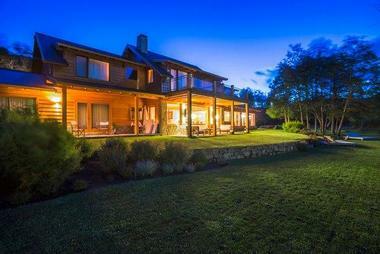 Narbona is a relaxing lodge, winery and restaurant in Carmelo, Uruguay. There are five exclusive rooms with antique decorations for individuality and modern amenities. Three rooms look out over the winery, while the other two have vineyard views. Guest accommodations have king size beds with private terraces and balconies for enjoying the outdoors. Complimentary services include access to the garage and reading room, the use of iPads, and transfers to the area. You can also take a guided winery tour or a kart ride in the vineyards, sunbathe next to the outdoor swimming pool with bar service, exercise in the gym, borrow a mountain bike, or visit Puerto Camacho with a private beach, restaurant, and moorings. Guests can also go golfing, have a massage, or enjoy outdoor activities. Visit the wine cellar, have a romantic vineyard picnic, learn how grappa is made, go horseback riding, ride in an old carriage, take a sunset cruise, or rent a canoe or kayak. The Punta del Este Restaurant is surrounded by vineyards and serves meals made from farm-fresh ingredients. Carmelo Restaurant is available to the public and features three lounges, an old wooden bar, and candlelit areas for romance. 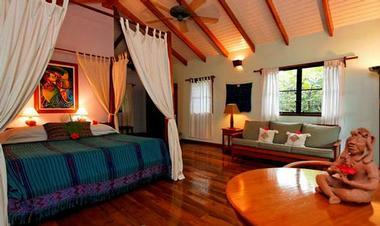 Rooms start at USD 170 per night. The DCO is a modern boutique beach getaway that is hip, elegant, and in a paradise location still visited by few. All areas of the hotel view the ocean and have beach access and there are suites with ocean views and a master suite with ocean views, perfect for a five star honeymoon. All rooms have an iPod, air conditioner, courtesy beach kit, private terraces, and flat screen TVs. A typical spa experience is two and a half hours long and should be booked ahead of time; it includes massages, hydrotherapy, and the use of resting beds or the vapor chamber. Guests can also enjoy the beach lounge and terrace. The restaurant is two stories high with a structure that alludes to sea algae and decorations that include a mural and sculptural lamp. There is a seasonal menu, sushi happy hour, good music, and diverse menu for guests to enjoy. Rooms start at USD 223 per night. The Charming Luxury Lodge is one of the unique South America honeymoon spots that sits along the water and was built in the style of traditional Andean architecture, surrounded by natural beauty with rooms that offer comfort and tranquility. Couples can choose from standard, master, deluxe and charming suites, each of which have views of the water and mountains. All suites over 50 square meters have Private Spas with double Jacuzzis, saunas, Finnish and Scottish showers, towel warmers, ozone therapy, and an LCD as well as a Home Theater and larger LCD TV. Enjoy relaxing spa services, such as massages, body treatments, facial treatments, and salon services in the privacy of your suite. The Restaurant by the Lake offers views of Lake Nahuel Huapi and serves Patagonian flavors, including fresh-baked breads, homemade pastas, and desserts. Suites start at 220 USD for two. 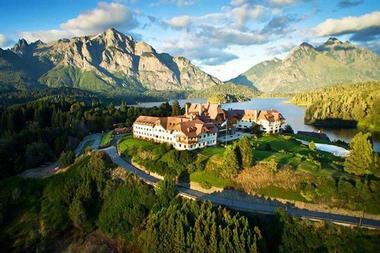 Llao Llao Hotel & Resort is a Patagonia hotel with a park measuring 15 hectares as well as pools and other leisure activities. One of the best South American vacations, all of the 205 rooms at Llao Llao Hotel & Resort show Patagonian style with their luminous spaces, cozy feelings, and warm scenery. The golf course includes 18 holes, a clubhouse, and practice facilities. Vacation activities include archery, walks, mountain biking, rafting, bird watching, boating, fishing, 4x4 adventures, rappelling, water sports, skiing, snowboarding, swimming at the indoor or outdoor pool, exercising at the health club and fitness center, or relaxing at the spa. 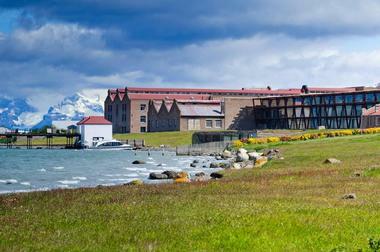 Patagonia Coffee Shop is cozy and relaxed while Los Cesares Restaurant is modern and refined. The Lobby Bar is ideal for cocktails and Asador Criollo serves traditional Argentinian dishes. The Club House is next to the golf course, Moreno Lake Bar is along the lake and the Winter Garden serves lunch and high tea. Rooms start at USD 245 per night. Tambo del Inka is the only Urubamba hotel that has a private train station going to Machu Picchu and offers a relaxing getaway with riverside gardens and a lagoon. There are four types of rooms and suites to stay in, all of which include internet access. Rooms provide 441 square feet of space with mesmerizing views, while suites measure from 753 to 883 square feet and include elegant settings and a furnished balcony. The tour desk can help you schedule a tour or you can receive assistance from the luxury concierge. The fitness center has weight machines, free weights, benches, and treadmills as well as individual televisions and views of the gardens. There is also an indoor/outdoor heated pool, complete with poolside beverage and food service as well as a complete spa offering massages, body treatments, and skin care services. The Kiri Bar in the lobby gives you a Peruvian experience and the chance to sip a cocktail. Hawa Restaurant serves traditional Incan cuisine. Rooms start at $290 per night. Hamanasi is a relaxing beach hideaway in Belize which also offers fun tours and adventures. All rooms are air conditioned and have ceiling fans, in addition to Belizean hardwood furniture, private porches, colorful bathrooms with storage, and bottled water. Guests can select from 8 Beachfront Rooms, 2 Beachfront Plus units, 8 Treehouses, 2 Honeymoon Suites, and 5 Deluxe Treehouses. The Great House is the center of activity, including a wrap-around veranda, the bar and restaurant, a gift shop, and reception. 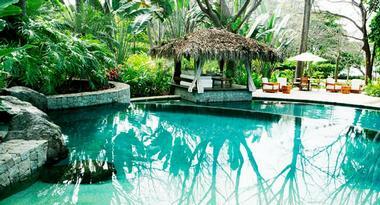 Guests can relax in a hammock by the infinity pool or stroll through the lush gardens. The snorkeling and scuba diving center is full service and lets you rent equipment and boats. There is a restaurant inside the Great House, with outdoor eating on the veranda serving international cuisine with Caribbean influences. Continental breakfast is included with the room and the restaurant is also open for lunch and dinner. The bar has cocktails and drinks which you can enjoy by the pool. Beachfront rooms start at $251 per night, the Honeymoon Suite from $380 per night. If you want to experience the famous beaches of Rio de Janeiro, check into one of the ocean view rooms at the Miramar Hotel by Windsor. The swimming pool and infinity pool are lined with granite from Guatemala and you simply have to cross the street to enjoy Beach Service. There is a fitness center on the rooftop terrace with top-of-the-line equipment and the same panoramic views as the rooms. Restaurant Spa is the on-site restaurant and serves contemporary cuisine created by chef Paul Goes. He has received training in Spain and worked for other prestigious names to hone his skills before coming to the Miramar Hotel. The executive suite was designed by Paola Ribeiro and the master suite has panoramic views and offers even more space for relaxing in a luxury setting. The hotel is pet-friendly and has butler service. Rooms start at USD 240 per night. The Arelauquen Lodge by P Hotels is a cozy, upscale lodge in a gorgeous, large building with modern amenities and beautiful views of mountains and lakes. There are 28 rooms at the lodge, each between 270 and 505 square feet and giving guests dramatic views of the lake, golf course, or mountains in Bariloche. The furnishings are estate-quality and there are large windows to complement the view. Each suite also has a kitchenette with dishes and stainless steel appliances so that you can prepare your favorite meals. A 24-hour concierge team is ready to assist at all hours. Relax at the heated indoor/outdoor pool, detox at the sauna and visit the on-site fitness center. You can get a massage or other treatment at the spa, hire a personal shopper, or take advantage of the signature 18-hole golf course. There are also polo grounds and shuttle services to the nearby Cerro Cathedral for skiing as well as tours and transfers for kayaking, hunting, fishing, white-water rafting, hiking, mountain biking, and horseback riding. The restaurant, EPIC, mixes regional and international dishes and is available for every meal with room service 24/7. Honeymooners can take cooking classes and enjoy food tastings. Rooms start at USD 437 per night. Arenas Del Mar is a short walk from Manuel Antonio National Park and is a rainforest and beachfront resort for travelers who want a luxury experience that is sustainable and surrounded by natural beauty. All guest rooms at this five-star hotel have views of the National Park, rainforests, secluded beaches, or the Pacific Ocean, visible from a private deck. There are 38 rooms in total, each with king beds, air conditioning, Wi-Fi, refrigerators, minibars, and a safe that fits your laptop. Since the hotel is located within the national park, there are various on-property tours, including bird watching and rainforest hawk trails as well as classes to learn how to make tortillas. The hotel can arrange outside tours to other destinations, either with a guide from the hotel or with another tour company. El Mirador Restaurant is by the pool and overlooks Espadilla Beach, the Pacific Ocean, and Manuel Antonio National Park. El Mirador Bar is perfect for a quick drink by the restaurant or pool and Playitas Restaurant and Bar is next to the secluded Playitas Beach and serves lunch. Rooms start at $270 per night. Mukul Resort is situated along Playa Manzanillo and features everything guests need for a relaxing getaway while exploring the Emerald Coast in Nicaragua. There are 37 guest rooms in total, each of which has ocean views and hand-crafted decorations and furnishings made by Nicaraguan artisans. There are six Beach Villas, six Ocean View Villas, and 24 Bohios within the resort. 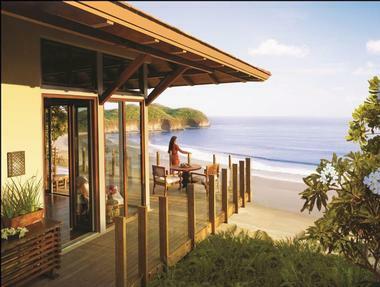 You can also enjoy the fitness center, Spa Mukul, Beach Club and La Palapa. The spa has six private suites and offers six signature experiences. Guacalito de la Isla Golf Course has 18 holes and a practice center as well as SNAG Golf training. 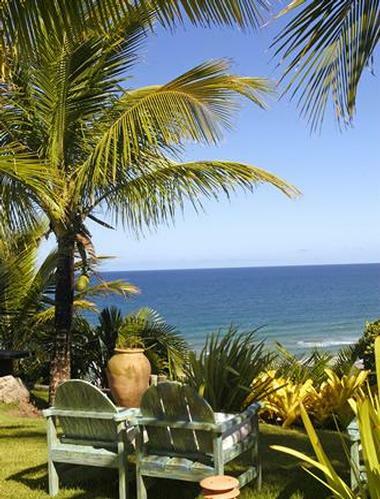 Relax along the private beach or take an excursion to a nearby village or beach. You can also take a helicopter ride to view volcanoes or go hiking in the area. Enjoy Fine Dining at La Mesa or have lunch at Restaurant La Terraza. Rooms start at USD 500 per night. 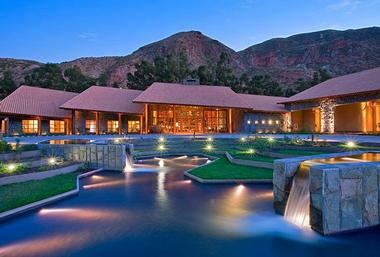 An exquisite retreat nestled in the mountains near La Serena in Chile, Elquimista is an elegant escape that offers individually designed and decorated Asian-Elqui style houses in the heart of the Chilean Patagonia. Built out of natural raw materials from the surrounding region, six luxurious houses boast home-away-from-home creature comforts, including fully equipped kitchens, deluxe bed linens, designer en-suite bathrooms and classic Chilean artworks and antiques. Houses have private terraces with breath-taking views of the valley and starry skies at night, perfect for honeymooners. Relax on hanging Chinese day beds by the main swimming pool and soak up the tranquility of the Elquimista gardens, Elqui valley and rugged mountains. Enjoy a variety of workshops or take a tour of the magical Pisco Elqui, once a sacred place for Tibetan monks. 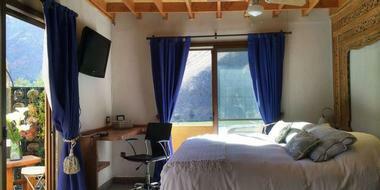 Houses start from around 105 USD per night. 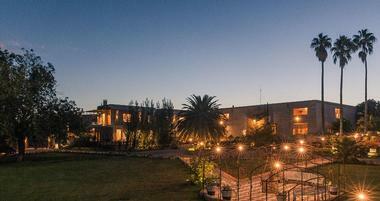 Cavas Wine Lodge is unique in that it is the very first lodge of this type in South America, showcasing the vineyards and winery in Mendoza along the Andes Mountains. The lodge is situated within the 55-acre vineyard and every room faces west, giving guests starry nights and beautiful sunsets framed against the Andes. All rooms have large private decks, spa style bathrooms, vintage soaking tubs, private plunge pools, and wood burning fireplaces. The spa is open daily and has wine therapy treatments, massages, and services with grape seed extracts, divided into couples’ treatments and those for individuals. The restaurant has a menu which changes three times a year to feature seasonal dishes, all made from organically-grown and ecologically-harvested food. The restaurant is open daily for lunch and dinner. Rooms start at USD 390 per night. Txai Itacare is a boutique hotel that interacts with nature responsibly and welcomes guests to enjoy the region’s culture and natural beauty. The resort is made up of bungalows that combine rustic simplicity with luxury accommodations, as all buildings were made from dende palm trees, bamboo, piassava, or other local woods and the king-sized beds feature canopy mosquito bedding. There are 38 suites in total, ranging from on top of the hills to right next to the beach and there is also a luxury bungalow and a premium bungalow, each of which measures 70 square meters and has a mini-bar and outdoor shower. You can also choose to rent a residence with 2,400 square meters of land. The resort offers beach access and features five swimming pools as well as hammocks and soft couches for relaxation. You can exercise in the fitness center with panoramic ocean views or prepare your own food in a full kitchen. The Shamash Spa combines treatments and practices from traditional times and modern ones for massages, rituals, and more. 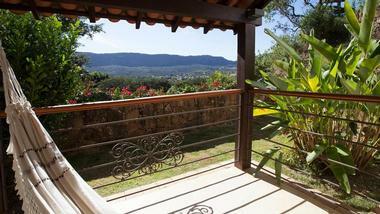 The Excursion House takes you on exclusive tours of nearby natural beauty, including to Camamu Bay and Caranha Farm. On site, you can hike along various trails or take classes in personal training, stretching, water aerobics, Tai Chi Chuan, Bio gymnastics, surfing, tennis, or Capoeira. Every swimming pool and living room has its own bar with alcoholic and nonalcoholic beverages, sandwiches, and snacks or you can enjoy the degustation menu at the Gourmet space or winery deck. Suites start at around 405 USD. Tucked away on a private island amongst Lake Nicaragua’s Granada Isletas, Jicaro Island Ecolodge is an award-winning eco resort with spectacular views of the Mombacho Volcano. Designed to seamlessly blend into the surrounding environment, nine luxurious double-story casitas are ensconced throughout the forest with stylish décor, deluxe amenities, and breath-taking views of the jungle and lake. Contemporary furnishings in natural materials create a warm, welcoming ambiance. Private balconies with hammocks are the perfect place to relax and soak up the views. Begin the day with a revitalizing yoga session overlooking the lake, followed by a massage in the comfort of your cabin. After a day of exploring, unwind with a cocktail from the jungle bar and savor delicious local and international fare at the lodge’s restaurant where you can enjoy a range of creative cuisine against a backdrop of nighttime jungle melodies. Choose from a variety of tours and activities around the island where you can explore the local history and culture or learn more about the native fauna and flora from expert guides. Rates start at $560 per night. Hotel Casa San Agustin is a small luxurious hideaway in Cartagena where you will find original frescoes within the library and wood-beamed ceilings dating back centuries. There are 6 suites and 24 guest rooms decorated in soft blue with authentic Colombian styling, rich dark woods, chandeliers, ironwork beds, and works by local artists. Honeymooners should request a room with a Jacuzzis or a private plunge pool. Guests can get a drink at the bar and enjoy a relaxing day at the rooftop Solarium. The Alma Restaurant showcases coastal Colombian cuisine created by Executive Chef Heberto Eljach and inspired by his time in Indonesia, Thailand, Cambodia, and Australasia. Don’t miss the intimate bar with handcrafted cocktails and upscale snacks. The Pool Bar next to the open courtyard serves refined versions of traditional dishes. Rooms start at USD 360 per night. Rio Hermoso - Hotel de Montana Parque Nacional Lanin is located in a national park in Argentina, with native woods and wild sounds all around. The cozy mountain cabin architecture is divided into four deluxe rooms, two deluxe rooms with a terrace, a family room, and a full house option to book the entire building. While at Rio Hermoso, you can enjoy snow activities, horseback riding, bird watching, and fly fishing. The hotel will arrange your tours and other excursions and provide airport transfers. Relax in the library, DVD and TV lounge, or living room with a fireplace. You can also get a massage or take advantage of the wireless internet. Planned excursions include skiing, tours to nearby areas, mountain activities like hiking and kayaking, or golfing at a local golf course. The Restaurant and Tea House includes an open Bar for informal gatherings, a modern restaurant with Patagonian cuisine, Argentinean barbecue, and tea with pastries. The Singular Patagonia in Chile is a luxury hideaway for couples who want to relax and have a comfortable base while exploring the area. There are 54 rooms plus 3 suites with the oversized guest rooms offering 500 square feet of room, large picture windows, custom-designed furniture, Wi-Fi, large beds, and an overstuffed love seat. The suite is larger at 750 square feet and has a walk-in shower. The 3,000-square-foot Singular Spa is eco-conscious, soothingly warm, and pleasant, containing a private suite with multi-jet Jacuzzi, facial treatment room, two massage rooms, a steam rooms, a sauna, and an outdoor/indoor heated pool. The Singular has private access to mountains and farms, giving guests places to hike, kayak, and go horseback riding without interruptions. The staff can arrange one of 20 excursions or tours that take a half day or a whole day, depending on your preference. The on-site restaurant serves hand-crafted dishes made from fresh local ingredients with Chilean influences. Rooms start at $360 per night. 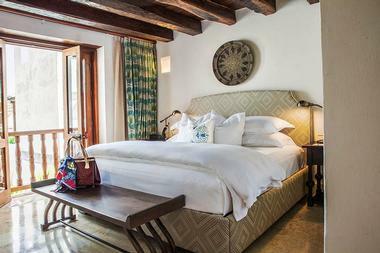 The Pousada Boutique Oratorio is a boutique hotel built with care. Each of the eleven luxurious rooms show attention to detail, aiming to create a unique, special place that feels like home. All suites measure 23 square meters in size and have distinct decorations and furniture from local artisans, creating a sophisticated environment. The eight luxury suites have a mini-bar, air conditioning, views of the mountains, and Egyptian cotton sheets. 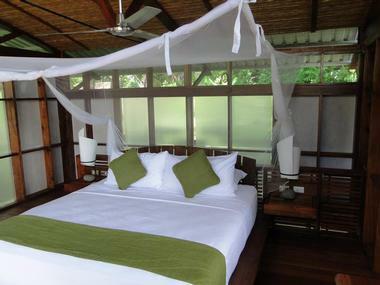 The three super luxury suites also have a private veranda and hydromassage. In addition to the Espaco Gourmet, there is also a pool, a spa with hydromassage, sauna, bar, a game room, a selection of DVDs, fitness center, and a panoramic garden. Espaco Gourmet and the Bar both offer refreshments, though the bar focuses on drinks while the restaurant features upscale versions of local “mining cuisine.” Leaving the hotel shows gorgeous views of the Serra de Sao Jose, or you can watch the sunset from a panoramic window in your room. Rooms start at $183 per night.